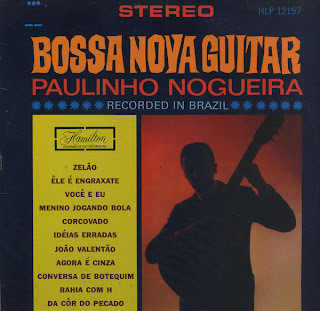 Paulinho Nogueira was a virtuosic musician who adapted a Brazilian feel to sophisticated acoustic guitar (violão) playing. 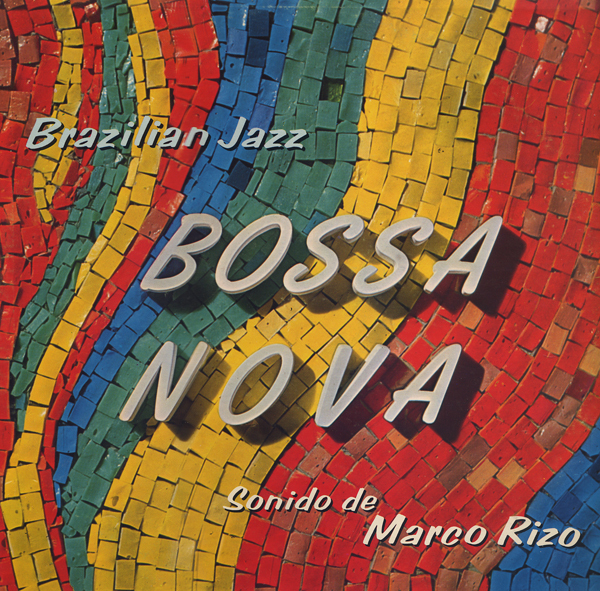 He is distinctive for not having been influenced by jazz, as most popular Brazilian virtuosos have been. 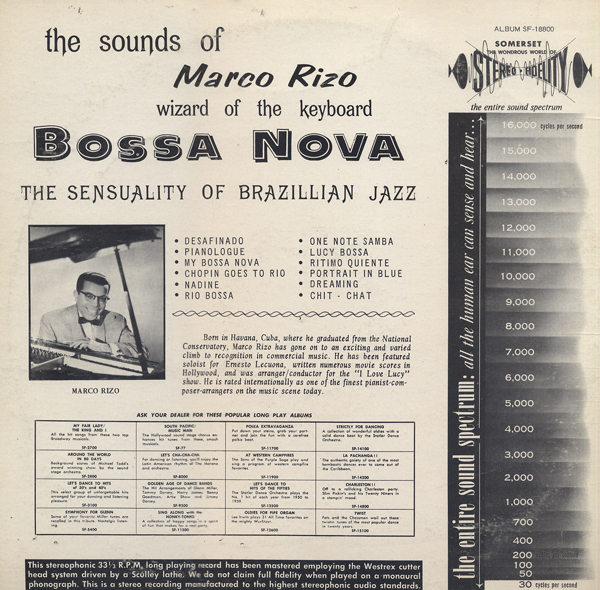 His playing was often reckless during his samba renditions, but he had a special bent on the ancient Brazilian musical tradition of doleful, tender, delicate interpretations, in which altered chords don't play a significant role. 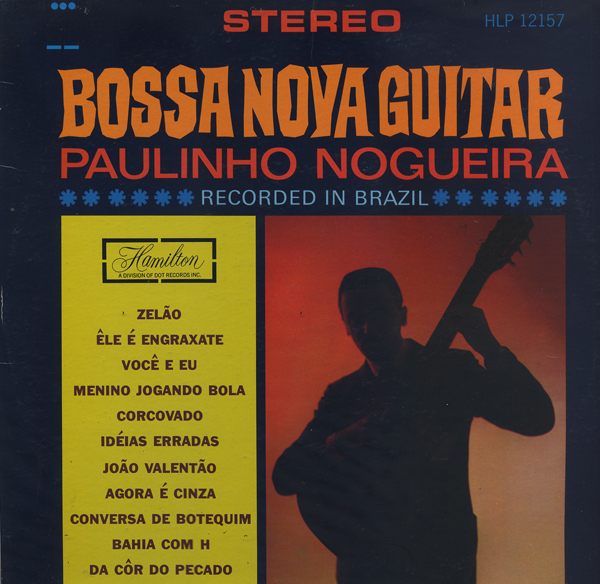 He recorded 27 solo albums and toured throughout the world, playing his violão for 50 years. Read more on Nogueira's Billboard page. 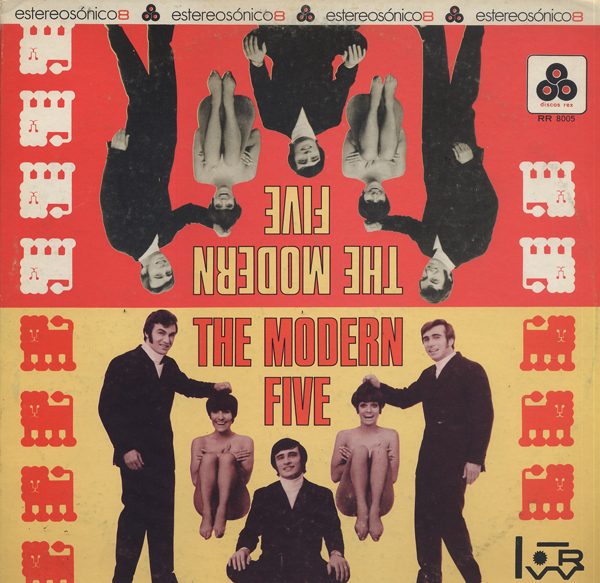 Several tracks have bits of vocal chorus inserted as accents and there are other 60s flourishes that help anchor the record in space age sound. The engineering is very good for a budget label. 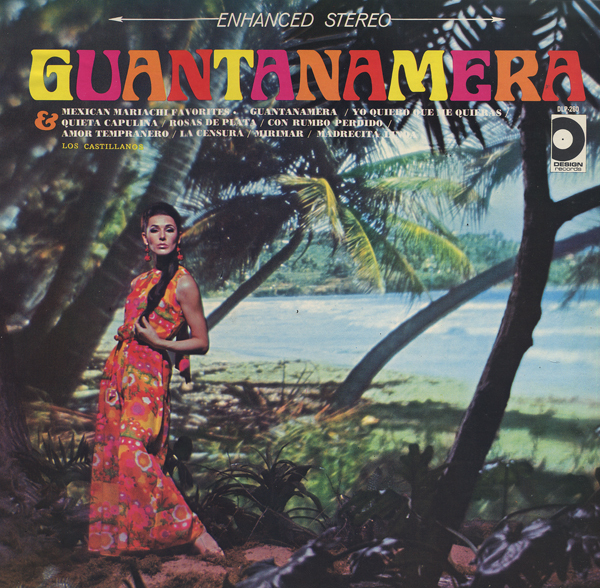 Somerset is known for budget records even though the label did manage to release a number of great recordings including this one. 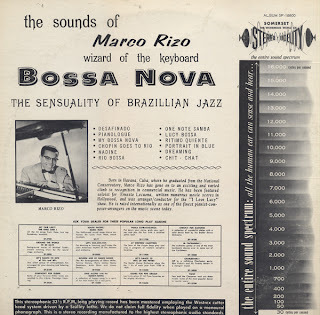 From the back cover: Rizo... "was arranger/conductor for the "I Love Lucy" show." There is a decent amount of material online about Rizo. Visit his wiki page or marcorizo.com which, I believe, is a site maintained by his sister Vilma. 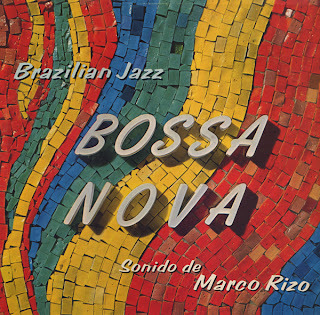 The link is to a page on which CDs by Rizo are available for purchase. This is the third RCA LP that I've found that was apparently created by RCA to promote "Dynagroove" technology. 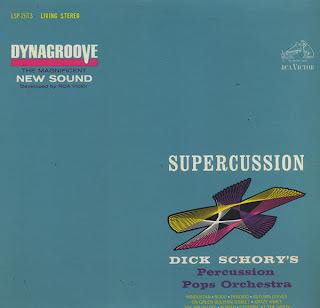 I'm unsure if the promotion did much to promote Dynagroove because the music, although "nice"... seemed dated for the time and that RCA's attempt to show off the engineering, by forcing the high and low end of the audio, made the music seem unnatural. However this record in the promotion is not like the other albums. 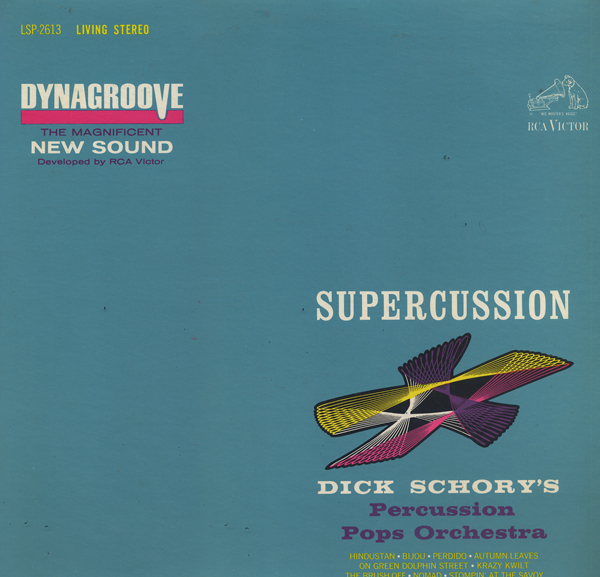 While RCA, again presses the dynamic envelope, the percussion approach on this project totally works. In fact, it all works. 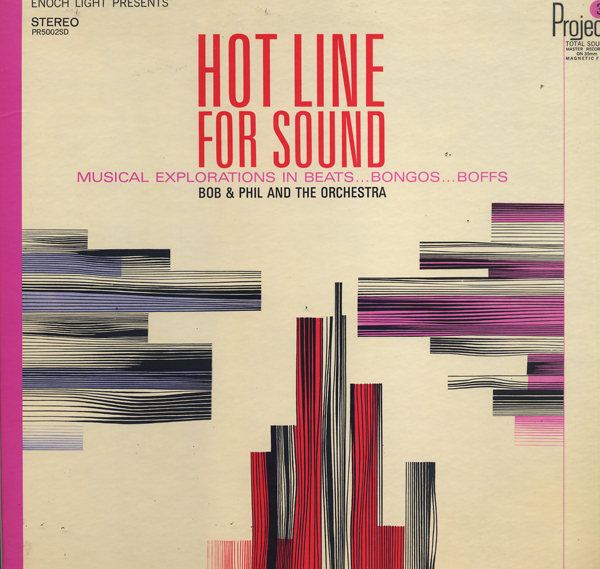 The cool music is a blend of percussion, swing jazz, easy listening and space age sound. Dynagroove done right! I'm not sure what definition of "Boff" Light had in mind... "blow, punch"? 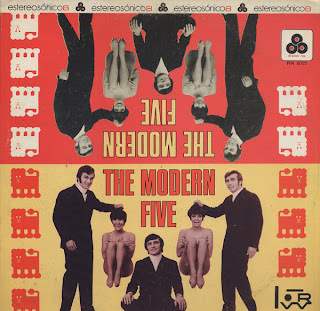 Out of all the Light records I've blogged so far, this may be the coolest 60's cheese filled entry. The project may actually lack the beats, bongos and boffs as advertised, but there are lots of ping pongs to go around. Side two features a few smooth and jazzy tracks. There is a cover of Michelle (J. Lennon, P. McCartney) on this album that is good fun. It was hard to choose a sample for you. I had to go with Taste Of Honey, (R. Marlow, B. Scott). The twisted organ notes featured on the track are pretty cool. From the jacket notes: This instrument played is a Lowery Organ – an unusual new instrument that permits glissandi and bent notes. In the second chorus Tony Mottola is heard on guitar, playing intervals musicians refer to as Oriental fifths, supported by what arranger Lew Davies evocatively describes as "stabs" from the organ on the right. 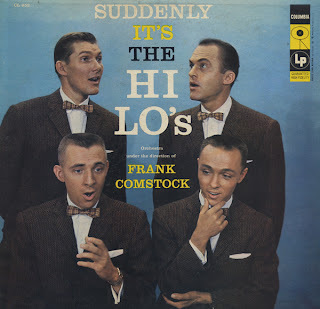 I'm not much for group harmony, but The Hi Lo's stuff seems forward looking and may possibly have had some influenced on The Manhattan Transfer. 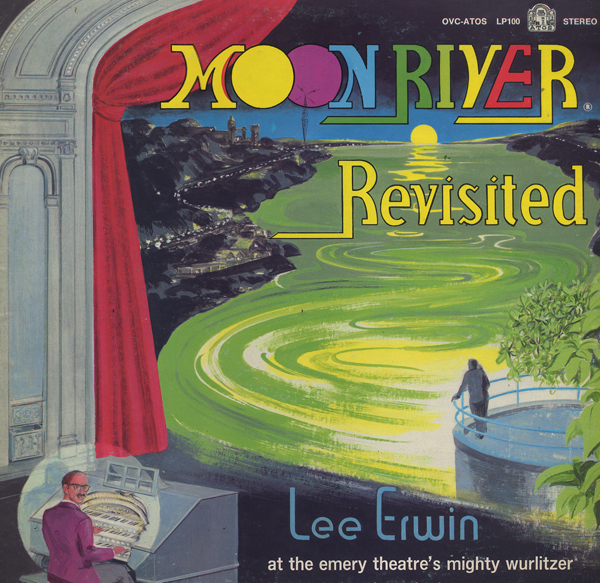 Moon River was a "dreamy music" radio show first aired on WLW in 1930 when Powell Crosley Jr. decided that quite music was needed to end the broadcast day. The segment enjoyed the longest run of any musical program in the history of radio, always a sustaining (unsponsored) broadcast. Lee Erwin played organ on the program for over ten years. The organ featured at The Emery was played by Erwin for three years at The RKO Albee Theatre that was located in downtown Cincinnati, Ohio. This amazing theater that was torn down in 1977 (such a shame). I'm lucky enough to own box seats from The Albee. The organ from The Albee was moved to The Emery sometime in the late 60s. After an eight year program of restoration the organ was dedicated in 1977. For a time in the late 80s the caretakers of The Emery Theater (The Ohio Valley Chapter American Theatre Organ Society?) made a great effort to keep the theater open to the public on a limited basis. I saw a number of movies there, including The Marx Brothers At The Circus, It's A Mad Mad Mad World and a spectacular treat, Spartacus, a technicolor movie which required, as I remember it, some special screen extensions to accommodate the particular print shown. The image was almost 3D-like. I wish that I could something online about this version of Spartacus, but I can't. And the CATOS made an effort to recreate the movie going experience of times gone by. Of course, they featured the Wurlitzer during intermissions. That was a special time for entertainment in Cincinnati. The following brief bio found on Acquaviva's wiki page is the only decent reference I could find on the artist. Nick Aquaviva (Nicholas Paul Acquaviva) (April 11, 1925 - October 14, 1998), known professionally as Tony Acquaviva or simply Acquaviva, was an American composer, conductor and string instrumentalist, a student of Serge Koussevitzky and the founder of the New York "Pops" Symphony Orchestra, a 135-member ensemble that selected and performed melodic new works by young composers. As a struggling young musician in New York, he roomed with singer Guy Mitchell, sleeping on the floor for lack of furniture and once admitted to the press that the refrigerator there contained only one jar of mustard. He recorded for MGM Records (notably the LP album "Music of Acquaviva", MGM E3226), and his works include "The Cavalier's Ball" and "My Love, My Love", the latter recorded by his wife Joni James, who he married at St. Patrick's Cathedral on December 1, 1956) which reached Gold Record status at its release. Acquaviva was a resident of Rhode Island. Nick and Joni have two children adopted from Italy. 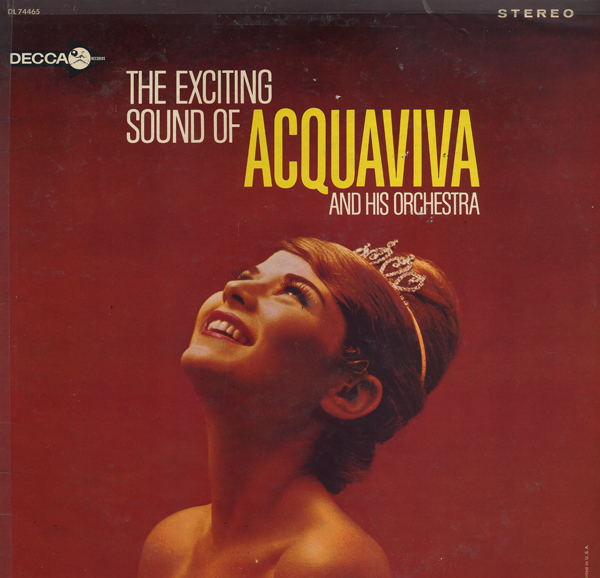 Acquaviva was credited in the jacket notes only by his last name. However, a number of composition credits are listed as "Nicholas Acquaviva"including the sample track posted above: "I Found A Rainbow". 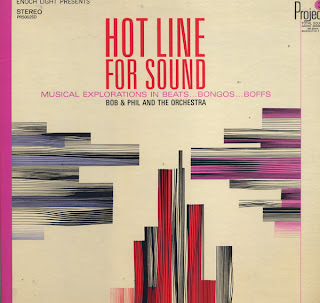 I was attracted to the album by the well executed cover design. The music is, full, lush and well engineered easy listening. 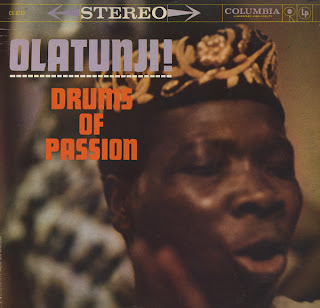 Terrific blend of Afro Percussion and western influences. 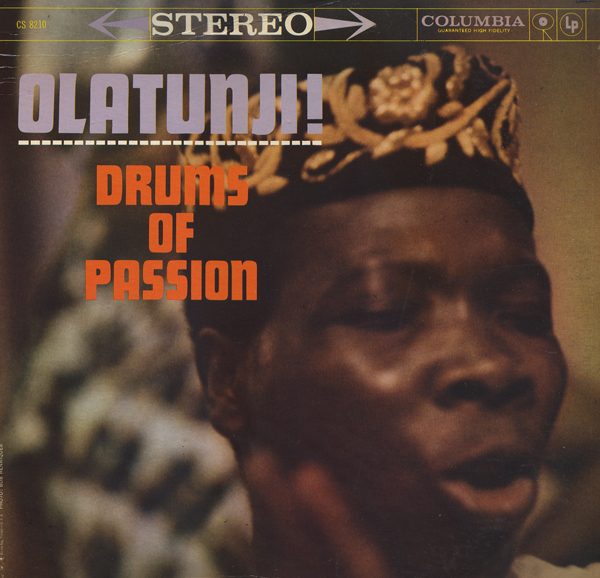 Olatunji's 1959 (wiki reference) Drums Of Passion is his first and most popular recording and can be found online. This record seems more obscure and isn't to be found online. 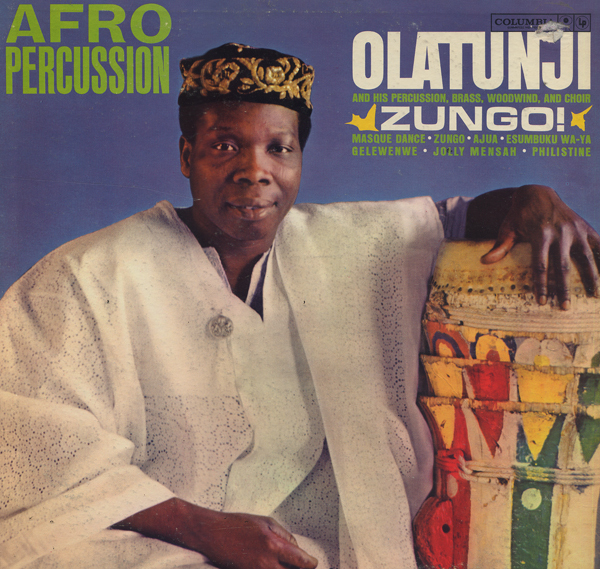 Babatunde Olatunji first U.S. release. The album is available on CD and by download. Not influenced by jazz to the extent of Zungo!, however, the inviting arrangements seem westernized to me. Exciting stuff for the 1960s listener and still a treat today! Below is a live performance of Akiwowo with a smaller group opening for The Grateful Dead, New Years Eve, 1986. 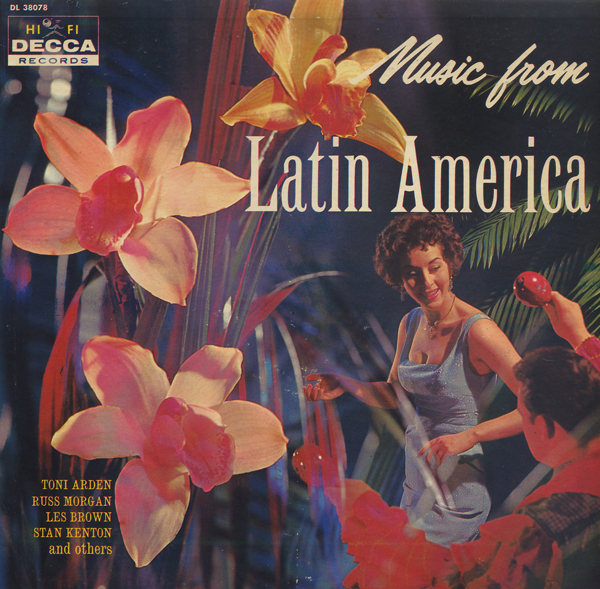 Compilation album featuring diverse "Latin" sounds from the likes of Toni Arden, Russ Morgan, Stan Kenton, Jose Albeniz, Les Brown, Pepe Gonzales, and Beacham Coakley. This is an obscure album with a terrific cover that I can find no mention of online. The record label features an interesting copy line: Prepared especially for Colonial Stores. The Colonial Stores, Inc, was for much of the 20th Century one of the nations largest supermarket operators. In June 1955 Albers Super Markets, based in Cincinnati, OH, was purchased by and merged into Colonial Stores. This may or may not be why I found this record in the Cincinnati area. Apparently Colonial had the buying power to purchase what must have been it's own "budget" records pressed just for their outlets. We feature an Italian group with an English name. I can't find any mention of the group online. 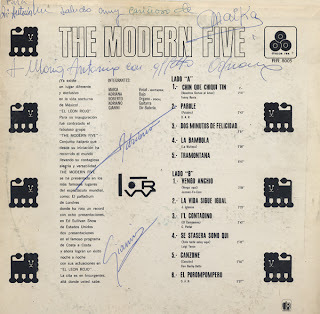 I can translate enough of one paragraph from the back cover to note that the group appeared on The Ed Sullivan Show. The material is not dated. 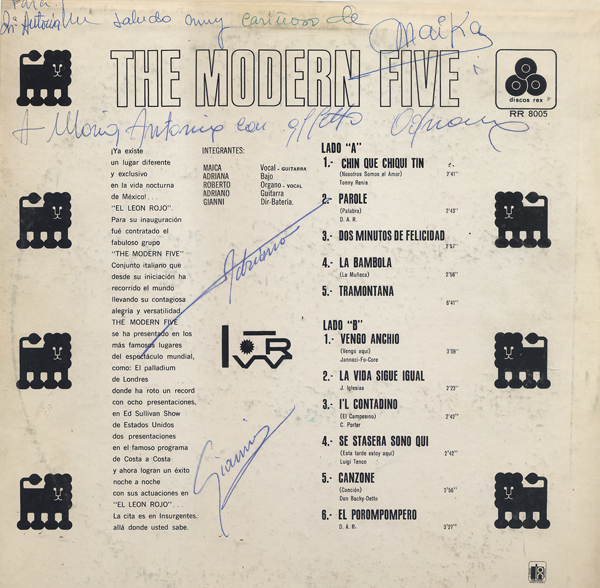 Back cover signed by Adriana (bajo), Gianni (Dir-Bateria) along with maybe another signature or two and some other writing. The music matches the whacky cover art. 60s Italian pop with one English cover of Sam & Dave Hold On I'm Coming. 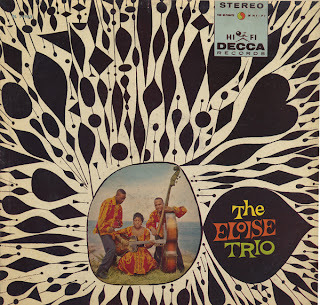 From the April 25, 1960 Billboard: The Eloise Trio is the trio responsible for the sound that is getting plenty of air plays, Chi Chi Merengue. 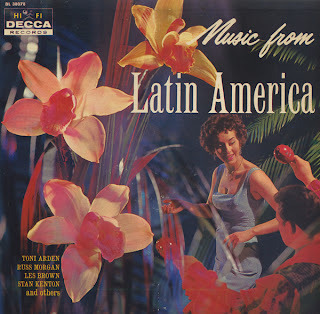 This time included in the Decca album which bears their name, and also includes a variety of tunes with a calypso flavor. Eloise Lewis, featuring singer of the group, sang before her first real audience at an amateur show in the Bahanes, when she was 11. In 1957, she opened at Blackbreads with her two partners (Bucky and Bert), and opening that marked the official birth of the Eloise Trio. This is a terrific album featuring the wild and exotic vocals of Eloise Lewis. The vocal stylings are rich and complicated. The band is super tight and Decca did a great job engineering the LP. Here's a blog with a little more information on Eloise. All but one track, as far as I can tell, are downloadable from the typical online sources. Zombie Jamboree is a good tune to start with. Blackbeard's Cha Cha, credited by Lewis is also cool featuring a twangy electric guitar. Shake, Shake, Senora is the one tune that I could not find online. 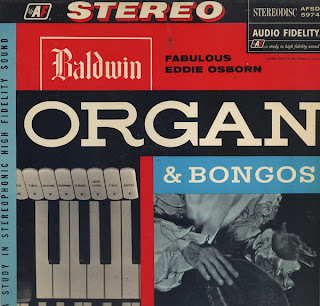 This is the second "organ and bongos" album I've run across by Osborn. 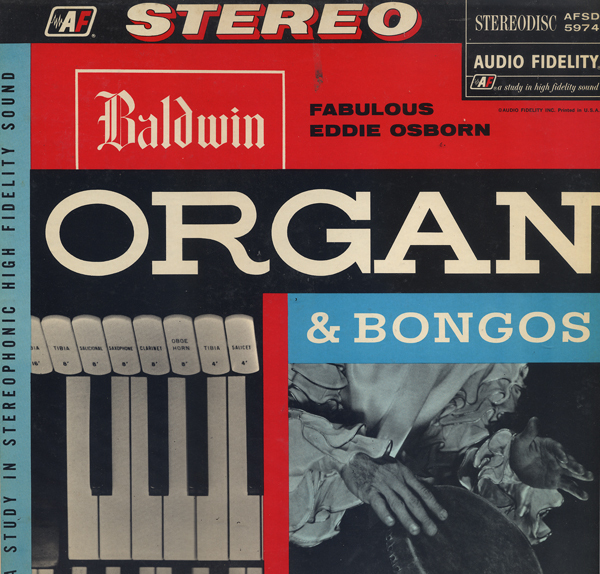 The first being titled Baldwin Organ and Bongs Bongs Bongs (1960). If I had a better filing system for my records... I'd go pull the other album and see if this isn't a reissue. I almost positive it is the same album but with better cover art. After a long day of blogging records I like to listen to a London album to chill. And there's nothing like looking at the smoking hot London to give you something to dream about before you go to sleep at night. 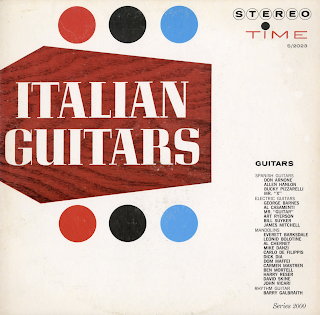 February 27, 1961 Billboard: The alternately swinging and exotic sound of guitars, mandolins and accordion fill the stereo air of this new sound-type LP. 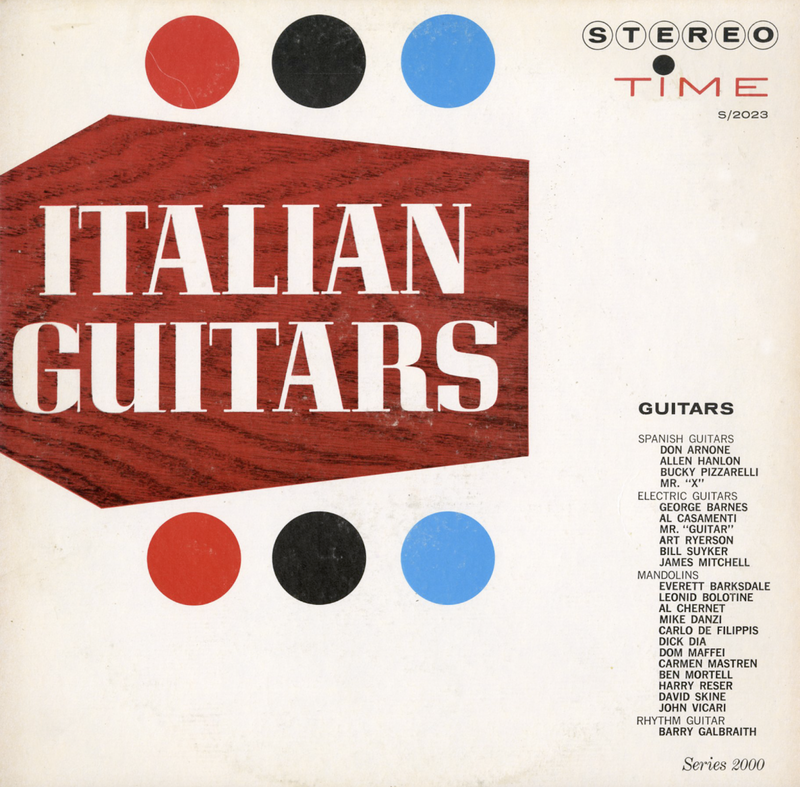 Besides accordion and rhythm, four electric guitars, four Spanish guitars, and eight mandolins give a large and fulsome sound that's very effectively carried through the stereo speaker set-up. Tunes are varied to include the likes of "The Woodpecker Song," "Volare," "Torero," "Only Love Me," and "Arrivederci Roma." 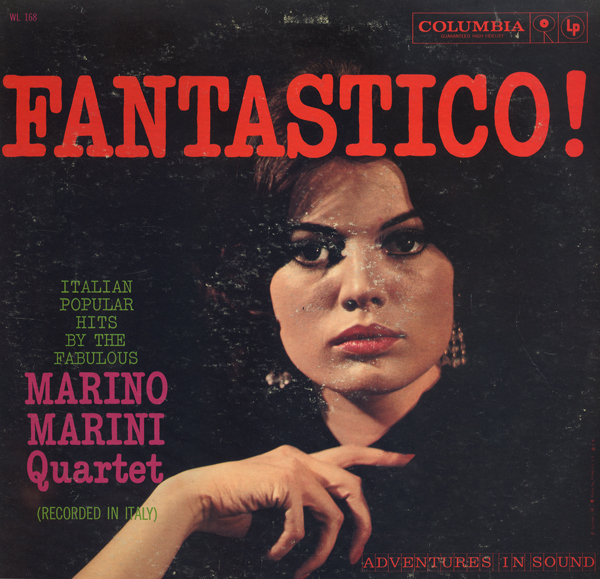 Marini was an innovative musician who used an echo chamber of his own design and is said to have been the first European performer to use sound mixing on stage, anticipating techniques used by rock musicians in the 1960s. He also combined Neapolitan with various musical styles and reinterpreted America standards. This record is loaded with style blends, twangy guitar and other assort 60s light pop touches which makes for a fun listen. Songs lyrics get basic translation on the back cover (sample): Avevamo La stessa eta - You were the smartest one in geography. I remember, and I still have the flower you gave me the day I failed my exam. I used to help you with your arithmetic in exchange for candy. We were the same age, no one knows it now, but now you are ten years younger than I. I don't understand it, but time passed only for me. We were the same age, only my heart knows it now, the same age. Read the full bio on Marini's wiki page. August 1, 1960 Billboard gave this album "very strong sales potential". 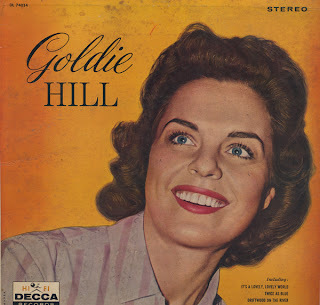 The Golden Hillbillie has a powerful package of weepers, rhythm songs and other country material. Album is well-recorded and should do extremely well in its field. I normally don't buy vintage country, but I liked the cover photo on this one. Hill was one of the first women in country music to reach the top of the country music charts. She had success and turned it down to when she married country singer Carl Smith and retired to living on their horse farm. This is Hill's first of four albums on Decca released in the early 60s before she retired (or while she was making the decision to retire). Even the jacket notes hint that she is "retired". 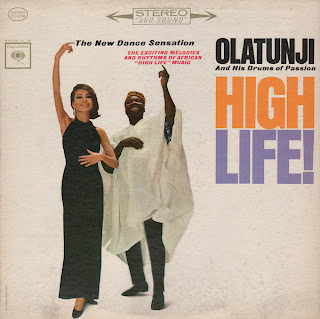 When you play this album you will be glad Goldie is happy in her homemaker's humming, but you will hope she will return to the studio for more recording soon. See her wiki page for Hill's complete bio.